Rainhart ran. At first, he tried to follow Cervin, who had veered to the right and was bolting for the forest they had been tracking alongside. But once they were in the undergrowth, Rainhart quickly found himself alone. Briga was beside him, and then she wasn&apos;t, and when he could run no more he slowed to a walk, stumbling over fallen branches and pushing leaves out of his eyes as he struggled on. He stopped, sucking in great gulps of air, and listened. He heard the wind rustling the leaves, a thrush singing to its mate and... nothing else. Whatever the pursuit had been, it was no longer behind him. He straightened and looked around. He was in sparse woodland. He thought he had run for about a quarter hour, so he would have to make his way back to the plain to get back on the path. While his breathing evened out, he took the map from his jerkin and studied it. Where had Cervin said the meeting point was? He heard someone breaking through the undergrowth behind him and ducked out of sight. Philomena emerged from the forest and he sighed and straightened. She started, eyes widening. "Oh, Prince Rainhart." "Yes, do you know where the meeting place is?" He held out the map. "Well..." She studied it. "It&apos;s here. This bend of the stream. But where are we...?" 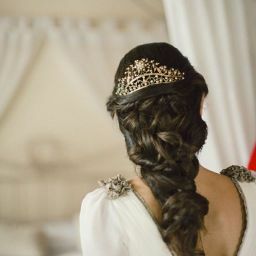 Rainhart stood beside her and looked over her shoulder. She barely came up to his chin. "I think we must have been around here when we heard the hunter. And then we ran... ah... I think we must be somewhere here." "I see." Philomena turned the map so it was oriented in the direction she was facing. "So we go this way?" Philomena nodded. "Let&apos;s go, then." She looked around. "Where&apos;s Briga?" Rainhart thinned his lips. "I wish I knew." "Well... hopefully she is with the Crown Prince or Princess Holle." "Hopefully," Rainhart echoed brusquely. He didn&apos;t want to talk about it. When he looked at Philomena, he saw a bitter expression fading from her face. "Are you able to walk?" he said. "I&apos;m fine," said Philomena. She inhaled and made a visible effort to smile. "Aside from an extra blister, but I&apos;ve so many at this point I&apos;ve lost count." "It&apos;s dreadful, isn&apos;t it? What I would give for my riding boots back again." "What I would give for a horse," said Philomena. "That would be divine." Rainhart remembered taking her up before him after the hunt. He had said some pretty rotten things to her. "I&apos;ll go first, shall I?" he said. "I think I should be able to track our path back to the grassland, assuming we don&apos;t hear from the hunter." "Do you think he was Valdon&apos;s man?" said Philomena. "I don&apos;t know," said Rainhart. "In theory this land belongs to the Teuta, but we&apos;re a long way from Marite Castle, so it would be foolish to risk it." Philomena nodded. He heard her fall in behind him as he began to make his way back through the scrub. "What?" Rainhart followed the direction she was pointing and saw a flash of metal. "Great gods," he hissed. He bolted, grabbing Philomena&apos;s hand and keeping low to the ground. 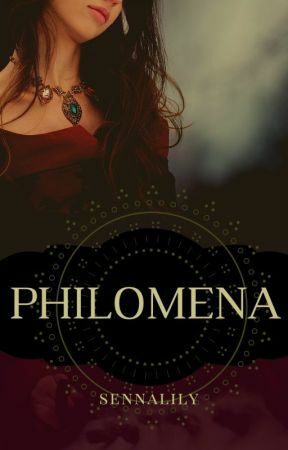 Even Philomena was better than being lost in unknown territory by himself. They ran, then stopped, gasping. "They&apos;re coming this way," said Philomena. "Do you think they&apos;re tracking us?" "I don&apos;t know," said Rainhart. They ran again. His lungs burned and his muscles screamed with exhaustion. He stopped and put his hands on his knees.